What if I told you that there’s a way to get hyper-targeted organic traffic that’s actually easier than driving a ton of random pageviews? 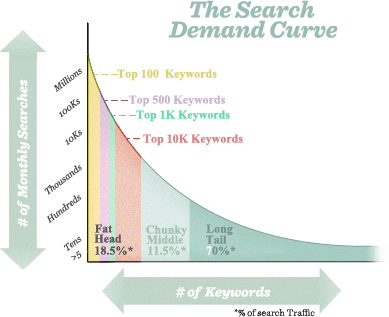 We’re all familiar with the race to the top of Google for high-volume keywords, but throughout that race, long tail keywords can get overlooked. If you ask me, this makes no sense because long tail keywords make up 70% of all searches. You don’t want to miss out on 70% the potential traffic, do you? Why should you bother targeting them? Is it better to target head keywords? But let’s get started with a definition. To make this distinction, you need to first define head keywords. A head keyword is usually a high traffic, high difficulty term that constitutes an entire topic. While they’re searched for often, they’re not always 100% specific to what you’re promoting with your content. Long Tail Keywords Definition: long tail keywords are 3+ word terms that narrow down the focus of the search results and bring up more specific results. They’re also often lower difficulty and lower volume. Now you’ve had a crash-course introduction, let’s run through the benefits of targeting the long tail. The prospect becomes aware of their need, and searches head keywords to find out more. The prospect becomes aware of a potential solution, and searches a long tail keyword with the intent to buy it. This is a dumbed-down explanation, but it sums up the idea of intent nicely. Basically, considering the intent of a keyword is considering the mindset of someone who would search the keyword. Someone looking for ‘adsense’ is probably looking for a definition while someone looking for ‘how to increase adsense earnings’ has the intent to click on your article, and buy your service if that’s something you offer. Through the long tail specificity of their search, they’re expressing their intent to buy exactly what you’re selling (or at least read exactly what you’re writing). For this reason, it’s worth targeting long tail keywords because the traffic that they bring in will be far more likely to convert. The searchers are no longer in the ‘discovery’ mindset. 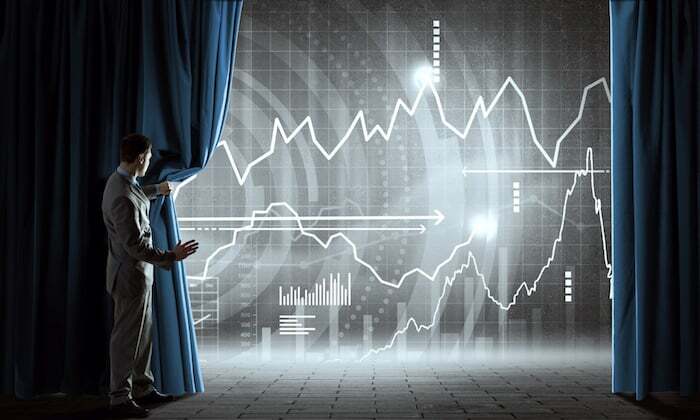 They’re ready to move into buying mode, and even though the volume won’t be as high, it’s well worth it. Here you can see the cost-per-click for different levels of intent and for head (‘heat energy’) vs long tail (‘what is heat energy’). While this is an extreme example, it pretty much applies across the board and bear in mind that lower volume terms generate less, more targeted traffic meaning you get more quality leads for your money. “Ok, ok! I’m sold”, I hear you say. “How do I find these high-converting gold mines?”. Well, like it always is with keyword research, it’s a mix between a manual and automated process. Manually: Researching suggested terms, reading posts on Quora, reddit, and forums. Getting together a list of head keywords and commonly mentioned phrases. Automatically: Using tools like SEMRush and Long Tail Pro to generate a list of semantically relevant terms and different permutations from your head keyword research. 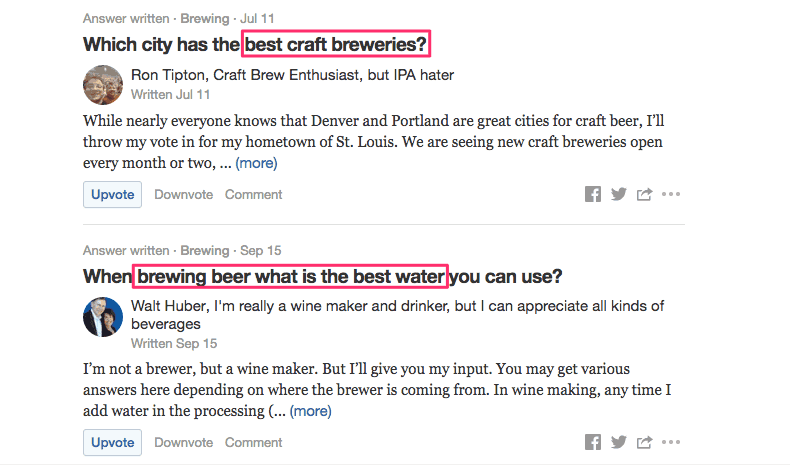 Note: Quora is actually a fantastic source of inspiration for blog posts, too. You can usually just grab the questions as a title and use the content in the answer plus your own original research to create winning content. 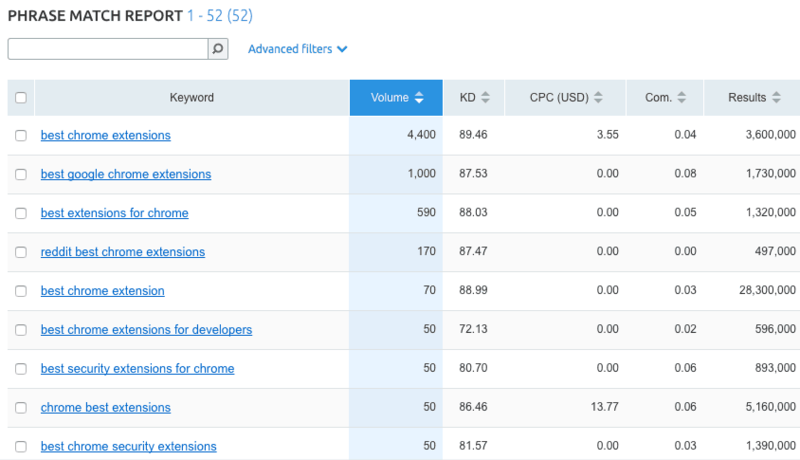 As well as being a complete platform for managing organic and paid SEO campaigns, SEMrush has a quality keyword research feature. For finding long tail versions of a particular head keyword you’ve researched, use the Phrase Match report. 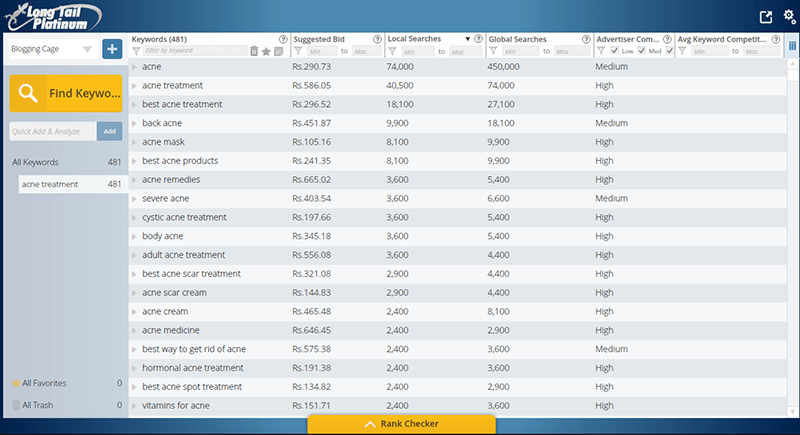 You can also use the Related Keywords report to find semantically similar terms. For example, instead of ‘google chrome extensions’, I also get offered ‘google chrome add ons’. 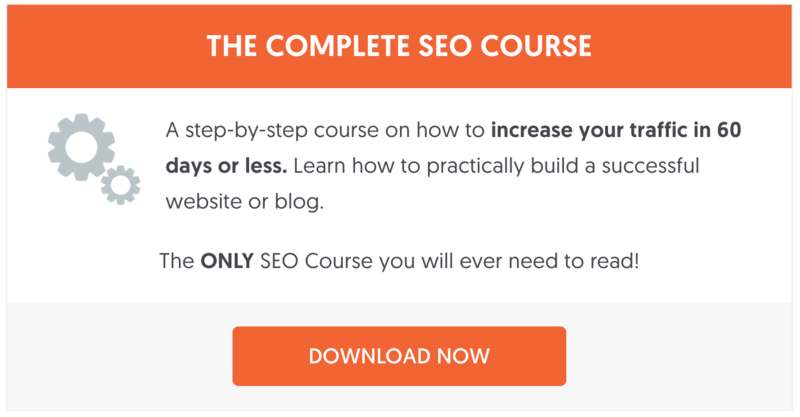 This kind of functionality is vital to finding those untapped long tail goldmines because all your visitors might not call the same thing by the same name. As the name hints, Long Tail Pro is a dedicated tool for finding long tail keywords. What I mean by this is that it works in a way that understands the process I’ve been talking about so far. To use the tool, you add any number of seed (head) keywords, and then it will generate a filterable list of long tail terms using a proprietary algorithm that does an excellent job at finding semantically relevant keywords, not just exact phrase matches. You’ll notice that you get some results here you wouldn’t have ever come up with on your own because they aren’t simply spin-offs of the seed, but totally new and related terms. The seed ‘acne treatment’ brings up results about cream, scars, severe acne, spots, and vitamins. These are things you’d otherwise have to find out on your own with quite a bit of research. As far as specifically generating long tail keywords goes, Long Tail Pro lives up to its name as the best dedicated tool on the market for the job. Like SEMrush, Ahrefs is a full SEO platform with far more than just keyword research abilities. In fact, the Keywords Explorer feature only recently came out of beta, so while it hasn’t had the development time time of LTP it can bring great results for users who already use Ahrefs for other purposes, like monitoring backlinks and seeing which terms a URL ranks for. For the volume, some of these long tail keywords have pretty low difficulty and high intent, making them perfect choices. And they didn’t take too long to find either. 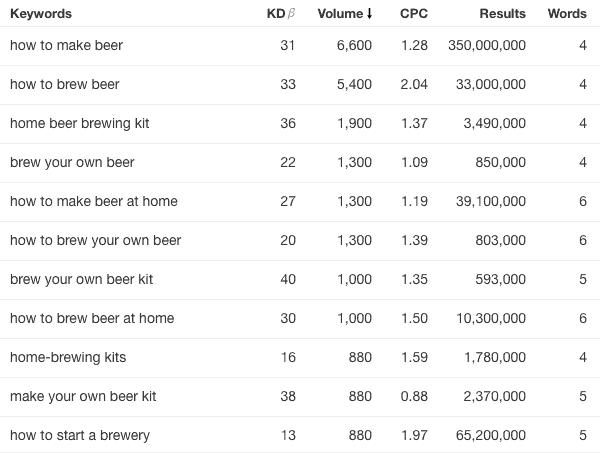 Using ‘brew beer’ as the head keyword, I set the minimum words to 4 and that’s the top set of results. Let’s say you’ve found a long tail keyword and want to start creating content to rank for that term. Great! What now? Well, the first thing to do is to choose one major target. As you’ve seen, by ranking for one keyword you scoop up a lot of long tail variants, too, so it isn’t like it’s the one chance you get to rank for a single term. And, of course, you should always make sure your entire site is optimized to be SEO-friendly. Is there any point targeting the long tail? The answer… Yes! Definitely. And I’ll tell you why. Targeting a head keyword is like equipping your finest cardboard sword and shield and stepping into the arena against the finest gladiator of Ancient Rome. In short, you haven’t got a chance. Let’s take a look at an example, and search ‘marketing’ (keyword difficulty 93) in Google. The average amount of backlinks these 5 results have each is just over 14,000. Think you can handle it?! What’s the intent of someone searching ‘marketing’? Who knows. It’s probably to find out a definition, or to read some kind of encyclopedic article, which shows why Wikipedia and Business Dictionary rank highly. Narrow it down, however, and target ‘marketing agency London’ (instead of just ‘marketing’) and the intent is much, much clearer. And you’re way more likely to rank for it. In fact, the major problem with going after head keywords is that you’ll be putting a ton of work into driving the wrong kind of traffic. And, when you drive traffic that doesn’t stay long on your page, you’re telling Google that you don’t deserve to rank, and that’s all your work wasted. A good rule of thumb is to Google the keyword you’re targeting before you target it, and ask yourself whether your article would be out of place in the results. If it would be, then don’t bother. It’s pretty simple: There are nowhere near as many head keywords out there as long tail. And that means that at some point, you could theoretically run out of big meaty keywords to target, and find yourself thinking “phew! 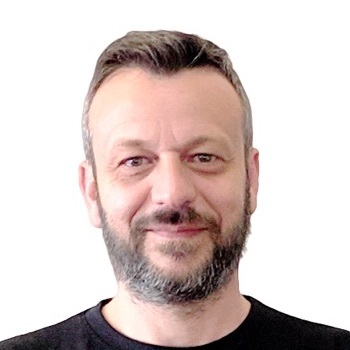 I’ve targeted ‘marketing’, I’ve targeted ‘SEO’, I’ve targeted ‘business’ … What’s next?”. When you’re going after the long tail, you’re not only giving yourself more chances to put optimized content on your site, you’re creating more pages. It only makes sense that sites with more pages rank for more keywords and drive more traffic, especially if they’re ranking for juicy long tail keywords. This is probably best described simply as covering your bases. Targeting both ‘green tea smoothie ideas’ and ‘green tea smoothie recipes’ in two separate posts and getting both of them ranking is a way to make sure you’re scooping up whichever search term variation that gets typed in. What’s the next step you can take action on right now? Well, I’ve given you a reason to do it, as well as the tools and methods you need to get started. The only thing that’s left is to get going. Pick a head keyword, find the low-hanging long tail fruit, and get targeting with content or ads that recognizes the intent behind the search term. How have your results been with targeting long tail keywords? Let me know in the comments! This is very useful to me. Thanks for the information. I certainly can use long tail keywords when blogging because it will generate more traffic. This is true, long tail keywords can generate traffic to your website and this is something that every blogger should use. A well written, clear and concise article. Normally I switch off reading lot of SEO articles but this is one of the rare examples of where I’m engaged from the off. Great post! Thanks for sharing this valuable Infromation because Iam new to blogging, so i just learning how to write article. By this post I understood that Iam using keywords not in good way.So this informational post which helps me to increase my knowledge.This is really interesting and make me to read many times. I have bookmarked this page for future reference. Indeed a great post about about keywords guide.Exceptional post.I loved your content and writing skills ! Appreciate your valuable hardwork. Thank you Amit, all the best! Great information you have to describe here on long tail keywords topic.I’ve been searching google for several hours looking for relevant info on this, they definitely need to position your site on the first page.I will bookmark it and come back for more. Such a great and informative article . I m going to hi this long tail fruits . Let’s see .. Your articles always help me in my seo learning. Many thanks, this article changed my mind! I have focused on head keywords for a whole year and, in essence, without result. I am now eager to create pages with long-tail keyword words!